Described as “The event of the year for anyone who teaches guitar,” the 2014 RGT Guitar Tutors Conference is now open for registration. Held annually at the University of West London, in Ealing, this year’s conference theme is Acoustic Guitar, and will feature displays, talks and workshops focusing on acoustic guitar education, performance and gear. As well as presenting Acoustic Guitar themed seminars by world-class music educators, which are designed for both new and experienced performers and guitar teachers, this year’s event will also feature the launch of RGT’s brand new ukulele exams. “I particularly enjoyed the atmosphere of the event. No one was made to feel intimidated, even though the technical expertise of some of the speakers was clearly top class. I was made to feel welcome, and it was a pleasure to be part of it. It was my first experience of an RGT event; I thoroughly enjoyed the whole day and came away fully inspired to take my tutoring skills to the next level.“ – Tom Smith. The complete list of seminars will be announced in the upcoming weeks, in the meantime you can read about the 2013 RGT Guitar Tutors Conference, as well as read what guitar teachers said about last year’s conference. 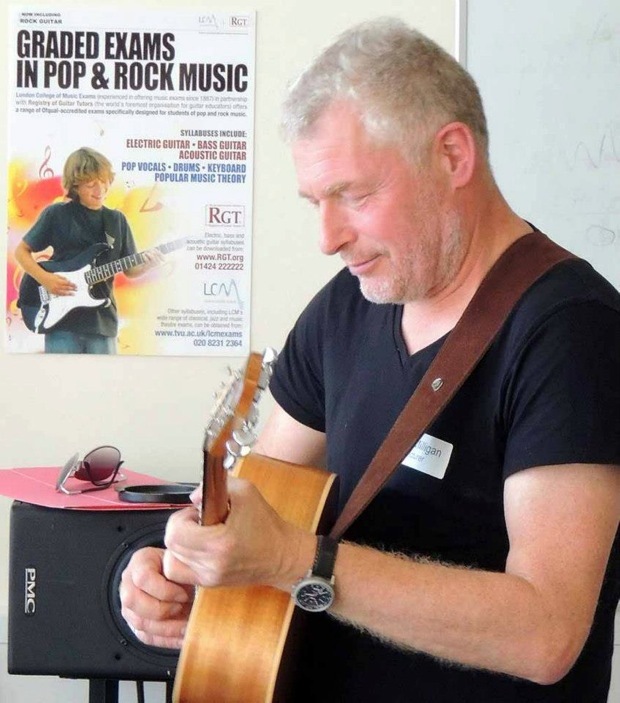 Registration for the 2014 RGT Guitar Tutors Conference is by advanced booking only, and more information can be found on the 2014 Conference Website. Did you attend the 2013 RGT Guitar Tutors Conference? Share your experiences in the comments section below. This entry was posted in Acoustic Guitar News and tagged rgt acoustic guitar by Alan. Bookmark the permalink.